The 200 litre Grit Salt Bin is ideal for storing de-icing salt and grit at on residential and commercial premises. Manufactured in the UK from UV stabilised Medium Density Polyethylene (MDPE), they feature an extra strong lid with double wall edges to prevent damage or deterioration. This bin will not discolour due to sun exposure and can be kept outdoors year-round. 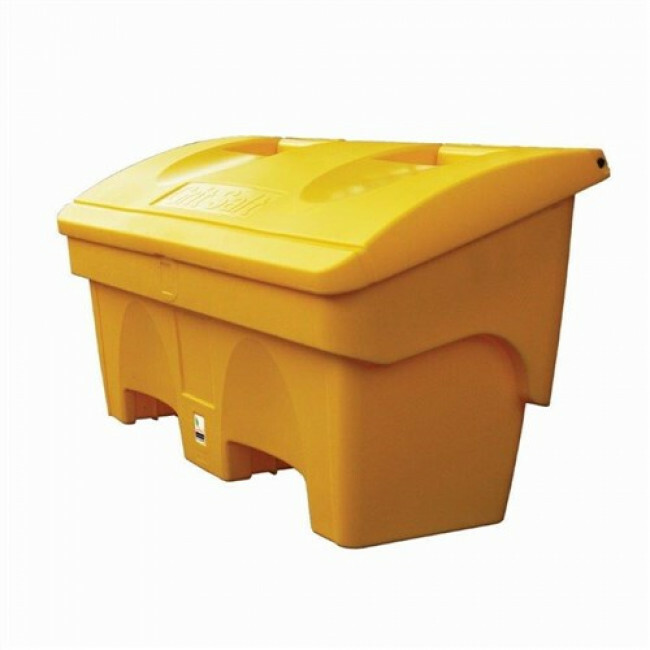 The 200-litre grit bins are inter-stackable making them an ideal option for storage throughout the summer months when not in use. 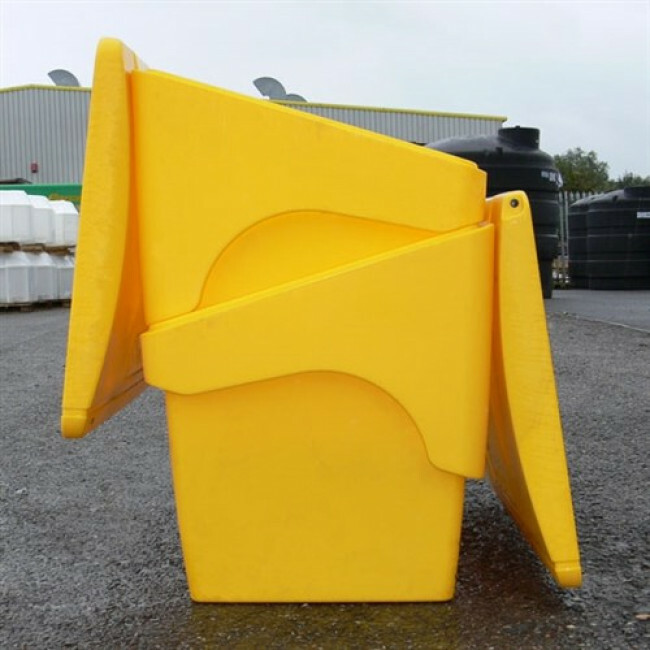 Each Grit Bin features a ‘Grit Salt’ label moulded into the lid of the bin, along with channels for lifting either with a pallet truck or a forklift. This ensures the bins can be easily moved even when fully-stocked with grit salt. To keep your stock of grit/salt safe and secure, the grit bin is available with an optional hasp and staple. Please note a padlock is not supplied.